If you miss the Howards Road turn, you have a second chance to turn right onto this road. It is about 1/2 mile. We are located in the Zane Grey business and Mini Storage complex on the west end. (You will see 3 buildings) Our store has two large signs on the front of the building. Plenty of parking is available in front of all three buildings. Take the Hwy-260/Cottonwood (AZ-89A) exit towards Payson, exit #287 and go East (left) on Hwy 260/General Crook Trail. Drive about 5 miles on Hwy 260. Take 2nd right after over Verde River Bridge on Howards Road. 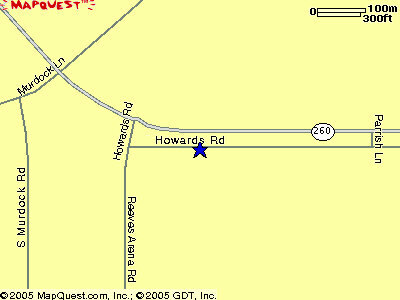 (This is the frontage and access road to Hwy 260) Take an immediate left on Howards Road. Drive 1/8 mi-we're on the right at 661 Howards Road, Suite J, Camp Verde, Arizona. Take 89A, cross over freeway and keep going East on Hwy 260/General Crook Trail. 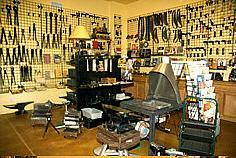 Drive 1/8 mi-we're on the right at 661 Howards Road, Suite J, Camp Verde, Arizona . Take Hwy 87/Hwy 260/General Crook Trail for 30 miles. Continue on Hwy 260/General Crook Trail . Turn left onto Parrish Lane. Take an immediate left onto Howards Road (Hwy 260 Frontage and Access Road) Drive about 1/4 mile down and we are on the left at 661 Howards Road, Suite J, Camp Verde, Arizona. If you miss the Parrish Lane turn, you have a second chance to turn left onto Howards road. It is about 1/2 mile down. 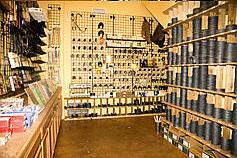 We are located in the Zane Grey business and mini storage complex on the west end. (there are only 3 buildings) Our store has two large signs on the front of the building. Plenty of parking is available in front of all three buildings.